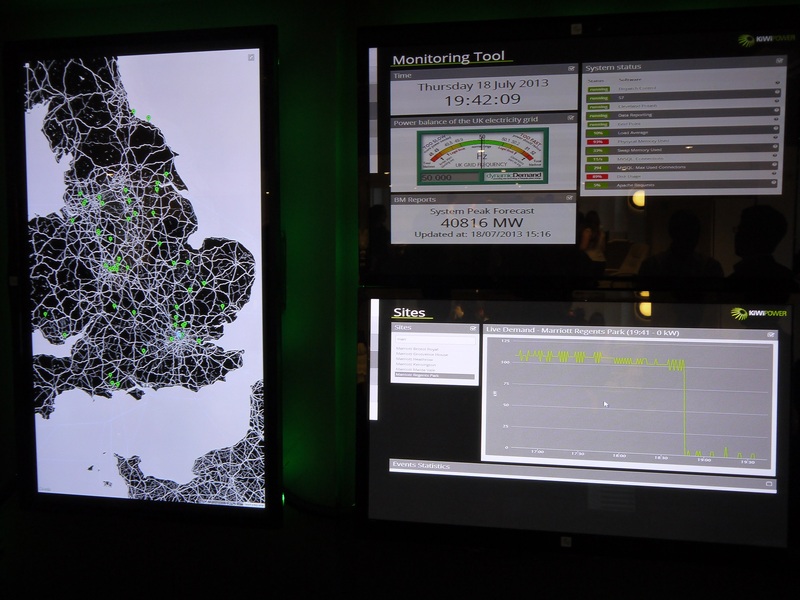 From National Grid to Distribution Network Operators and energy suppliers, demand-side response is seen as having great potential for tackling the Britain’s growing problem of how to keep the lights on. Tim Probert surveys the scene. This article was first published in the November 2013 issue of Energy World. As surely everybody will now have realized, the state of the UK energy market is far from ideal. Having sweated its power generation assets for the best part of a quarter of a century post-privatization, the country finds itself in a panic about ‘keeping the lights on’, as an increasing volume of decrepit coal, oil and gas-fired generation is decommissioned. While Parliament debates the Energy Bill to incentivize new generation under Electricity Market Reform, transmission system operator (TSO) National Grid has taken more immediate action by proposing rewarding larger power users to reduce consumption between 16:00 and 20:00 on weekdays in winter, as well as increasing the use of Short Term Operating Reserve (STOR) and other balancing mechanisms. The subsequent sturm und drang in the tabloid press about ‘power rationing’ and ‘Blackout Britain’ belatedly brought demand-side response (DSR) to the fore. Very much under the radar there has been a quiet revolution in National Grid’s Short Term Operating Reserve (STOR) balancing product. Introduced in 2007, STOR is designed to ensure sufficient operating reserve to replace sudden generation losses, or unpredictable changes in demand. National Grid procures around 3 GW a year of STOR, a large proportion of which must be available within 20 minutes. Driven by National Grid’s decision to offer 15-year contracts in June 2009, there was a brief boom in large STOR new-build projects. Green Frog Power, for example, supplies 214 MW from fourteen diesel-fired generator power plants rated between 6 and 20 MW in Yorkshire and South Wales. There are two forms of STOR contract, firstly the committed service, which applies to all providers who wish to make themselves available for all required windows nominated by National Grid. Balancing Mechanism (BM) units, typically sub-50 MW plant such as open-cycle gas turbines, and non–BM units, such as smaller diesel generators, can tender for this service. The second form, which applies only to non-BM units, is the flexible service, which allows the provider to make the unit unavailable for particular windows on a week-ahead basis. Participants can reduce their load and/or use back-up generators to make up the shortfall (peak lopping) or export power from on-site generators to the grid during agreed times. Only 10-15% of flexible STOR, however, is actual demand reduction, or ‘turndown’. While an effective measure, heavy use of diesel is not the most economically efficient or environmentally friendly and there is a growing trend towards genuine demand reduction measures to save costs and, of course, save the planet. To be awarded a STOR contract, participants must guarantee a minimum of 3 MW capacity. Larger participants often contract directly with National Grid, but not all willing participants are able to supply this amount of reserve. However, commercial aggregation service providers, which now comprise around half of the non-BM unit STOR capacity, create a basket of participants who together comprise 3 MW or more. Aggregators agree a strategy with the participants, typically data centres, offices, hospitals and factories, and bid the collective capacity into the balancing market. In return for offering bidding services and sometimes ‘free’ metering and IT equipment, aggregators take a cut from National Grid’s availability and utilization payments. One such aggregator is KiWi Power. The London-based firm manages just under 100 sites in total, including Hilton hotels, Gwynedd Hospital in Wales, East Midlands Airport and J Sainsbury’s distribution depot Hams Hall, taking a 30-50% margin of DSR payments from National Grid. Like with financial services, KiWi Power packages 3 MW portfolios of sites in close proximity which statistically sit well together in terms of load profile; typically a hospital, a shopping centre and a hotel, to ensure one site can pick up the slack if another is unable to reduce consumption. While National Grid is responsible for STOR, Ofgem is offering distribution network operators (DNO) demand-side response incentives under its 2015-2023 price control regime price control, RIIO-ED1 (Revenue = Incentives + Innovation + Outputs). As a forerunner, DNOs are currently conducting trials as part of the £500m Low Carbon Networks Fund. This summer, UK Power Networks (UKPN), which operates London’s distribution network, worked with KiWi Power to conduct a series of DSR trials. Over the course of the summer, UKPN called on KiWi Power’s customers to deliver a total of 45 times across its portfolio, delivering a total of 47 MWh of DSR. Whereas National Grid pays on an undifferentiated rate, the trial was part of UKPN’s £23.8 million Low Carbon London scheme and thus paid differently. The ‘greener’ the DSR, the better it pays; a hotel reducing air conditioning load is, therefore, more lucrative than a hospital firing up a generator. When this writer visited the offices of KiWi Power on a summer evening during a rare heatwave, we were interrupted by a phone call from UKPN requiring an immediate drop in load. KiWi Power responded by cutting the air conditioning load from four hotels, as well as ordering a hospital to start a diesel genset. Over the next hour, consoles display the sites steadily reducing consumption. John Conlan, Director of Facilities & Project Management at Mariott International Europe, decided to participate in the trial after being convinced by US utility Constellation Energy’s DSR performance at its Las Vegas hotels, investing £4000 per site on metering and related equipment. Conlan believes the flaw in the DSR plan – reducing load when it is needed most – is not a major problem. UKPN says the trials have given it confidence in using DSR as an alternative to network reinforcement as part of RIIO-ED1. Martin Wilcox, UKPN’s Head of Future Networks, said its RIIO investment plan identifies £38m of savings from using DSR, not only from working with aggregators like KiWi Power, but also by cutting out the middleman and providing DSR directly to customers. “The 2015-2023 plan has a different flavour from previous DNO price control periods. The UK faces supply challenges over the next decade and we are being incentivized to reduce demand. Electricity North West, the DNO which serves Greater Manchester, is one step ahead of UK Power Networks. Its ‘Capacity to Consumers’ (C2C) project aims to release redundant assets in its high voltage network and offer customers to provide DSR in a post-fault scenario. The firm likens its network to having three hard shoulder motorway lanes which could be released as capacity to customers as demand increases. C2C seeks to offer customers connecting directly to its high voltage network (132kV and 33 kV) the opportunity to reduce distribution charges in return for agreeing to a delayed restoration of power following an outage. Typically, power is restored within an hour but C2C-managed customers can be delayed up to a pre-agreed period, usually eight hours. Electricity North West is trialling C2C with both new and existing customers. The latter are rewarded with payments for entering into post-fault DSR, new customers have an additional incentive: avoidance of high voltage network reinforcement charges and reduced connection asset costs. Electricity North West mitigates the need for network reinforcements by changing the electrical configuration of the primary substation, i.e. 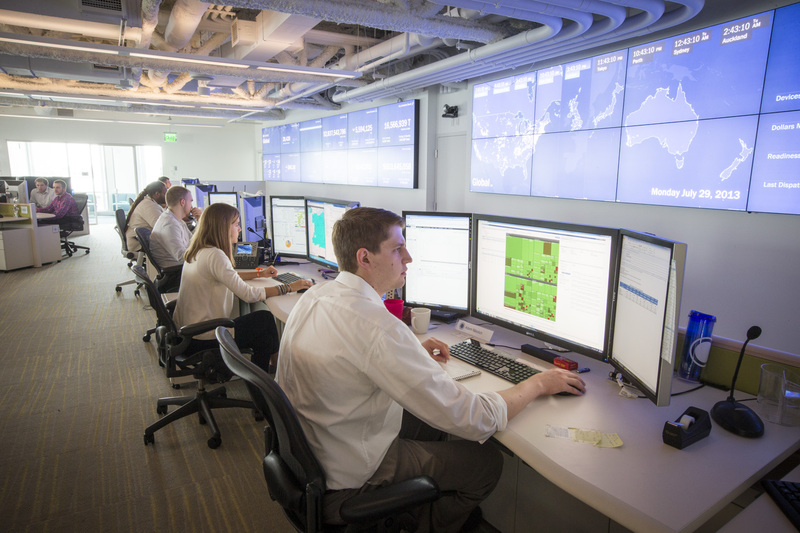 closing the normal open point and taking control of the network within its management system. This is achieved by fitting remote control equipment to a customer’s incoming circuit breaker connected to the primary substation. C2C is being trialled until September 2014 to better understand network performance with altered configurations. Electricity North West expects a small increase in overall fault levels; it also faces issues with 6.6kV switchgear, which will require changing. Due to the nature of this programme, customers must make themselves available 24/7 and the inherent risk to participants has not led to a surge in C2C; just three companies have participated, equivalent to 1.5 MW. Simon Brooke, Low Carbon Networks Manager, says most interest has come from small manufacturers, with large manufacturers preferring, so far, to be in charge of their own destiny. For the time being, however, the role of DSR for DNOs is expected to be limited. DNOs are by nature relatively passive and non-innovative, doing little more than owning wires and printing money. But with increasing volume of intermittent generation, what goes on between the half-hourly balancing periods becomes more important and the UK is arriving at a point where DNOs have to become more involved. Craig Dyke, National Grid’s Strategy Development Manager, says over the next decade the role of DNOs is changing to one of running largely passive networks to a more active distribution system operator (DSO). “National Grid needs to work much more closely with DNOs to understand what’s happening on networks and how it impacts on transmission,” he says. In October 2012 National Grid created a working group with the DNOs to understand the future role of demand-side response, the DSR Shared Service Framework, including the role of suppliers and aggregators. National Grid, of course, does not think demand reduction is always necessarily a good thing. DECC knows this all too well. Its Electricity Market Reform (EMR) package tackles this problem head-on, including as it does a capacity mechanism to boost generation capacity to ensure the lights stay on at these peak times. As part of the capacity mechanism, DECC is grappling with how to introduce incentives for DSR. The department has wisely ruled out a ‘negawatts’ feed-in tariff, rewarding commercial investment in energy efficiency according to the level of energy that would otherwise have been consumed. Instead, DECC will incorporate a DSR element of the capacity mechanism with different rules from those for generation capacity. DECC estimates there will be at least 1 GW of DSR purchased in capacity market auctions but as yet the market is insufficiently designed to tell if it will work, says Lisa Waters of the Waters Wye Associates consultancy. “DECC has said DSR participants will be able to bid at higher prices than under the capacity mechanism, recognising that participants may need to invest in new infrastructure to fulfil the requirements, but it’s having trouble determining how the DSR is measured,” she says. “For example a 50 MW steelworks would be ‘derated’ by DECC to 40 MW, and the baseline for judging whether it has delivered DSR will be based on recent historical consumption data. The capacity mechanism, however, has one key feature which may ultimately lead to a radical approach to DSR, much to the benefit of the ‘Big Six’ vertically integrated utilities. Cost recovery in the capacity mechanism will depend on the level of peak load, i.e. punished for high load at the system stress peak. Suppliers will therefore be incentivised to contract for more demand-side response, or seek customers which have very flat load profile and ditch those with peak load, or at least charge them accordingly. Chris Harris, Npower’s Head of Retail Regulation, cites research by Redpoint that predicts energy unserved could rise from almost zero in 2013 to 6 GWh by 2020. In other words there is a 20% chance of a brownout by the end of the decade. For Harris, this means effectively shifting the suppliers’ burden of having spare generation capacity on to consumers by making them pay a premium for using electricity at peak times. Keith MacLean, Head of Policy & Public Affairs at SSE, thinks effectively doubling Granny Smith’s energy bill overnight would not be tolerated by politicians. “I don’t think we’re politically brave enough to vary electricity prices enough to make changes. 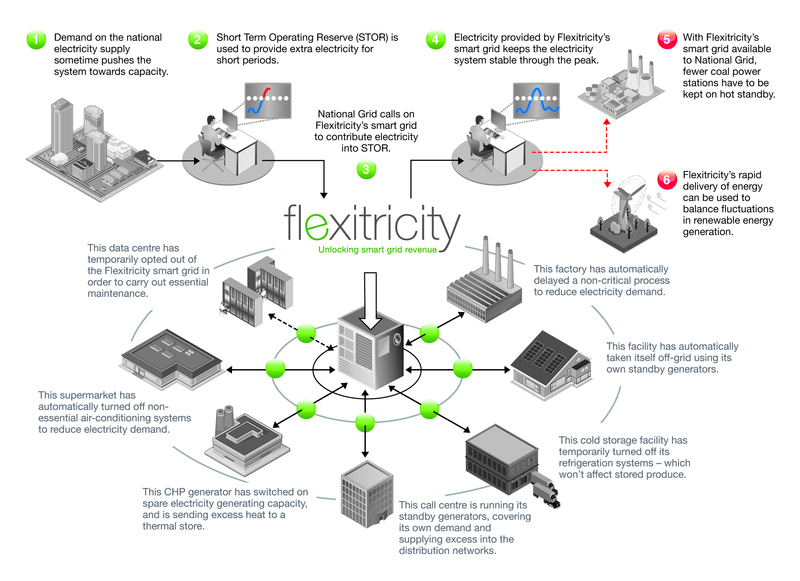 Posted in Policy & Regulation, Smart Grid, T&DBookmark the permalink.